There are different types of Reiki, some are more Western forms and then there are more traditional forms. I have studied a more traditional form of Reiki that is centred around personal (and daily) meditation and contemplation practice. Reiki is a spiritual practice and at its heart is compassion and peace. No matter the form of Reiki, the aim of all Reiki practitioners around the world is to create and offer out a gentle healing and nurturing space. Just as we are all individuals, the differing Reiki approaches will suit different people. If you are interested in receiving a Reiki treatment or in learning Reiki/ Animal Reiki for yourself, it is important to find a practitioner/ teacher that resonates with you! Whether I offer Reiki to a person or an animal, I begin the session by entering a state of meditation (utilising the many different meditations taught within the system of Reiki). People (remain fully clothed and) lay on a massage table. I then place my hands either on or slightly off the body if preferred, in various positions from the head to the feet, to a background of soft music. It is common to feel heat or cold from my hands as I move around the body, due to the energetic exchange. This is a time for you to relax, to have some time away from the pressures and demands of life and to re-connect to your peaceful nature – a connection that can easily be forgotten (or unknowingly left uncherished) as you race through your modern, hectic life. For animals the approach is modified to account for their sensitivity. The different forms of Reiki are traced back to the Japanese founder Mikao Usui who wisely created the system of Reiki in the late 19th/ early 20th century. Mikao Usui had spent many years (starting from his childhood) studying and mastering various Japanese traditions, faith systems and practices – including Martial Arts, Shintoism and Tendai Buddhism. As a result of this great depth of knowledge and due to his dedication and determination in applying and incorporating this knowledge into his own personal spiritual practice/ routine, Mikao Usui succeeded in creating a healing system accessible to people from all walks of life – with no requirements for any particular religious or spiritual beliefs. A system they could learn in order to work on healing themselves and then later others, including animals. How incredible is that! (One of the many reasons I am very grateful to study with Frans Stiene – who together with his wife and International House of Reiki co-founder Bronwen are Reiki researchers dedicated to tracing Reiki back to it’s roots in Japan – is the straightforward way in which Frans shares his own understanding of this knowledge whilst at the same time living and breathing what he teaches). For practitioners the system of Reiki provides a range of tools (i.e. breathing and meditation techniques) enabling the creation and maintenance – through practice – of a peaceful, healing ‘space’. The more a Reiki practitioner is dedicated to their personal practice, the more peaceful they will become and the more able they will be to hold, maintain and share a peaceful space with and for the benefit of their clients. To understand how Reiki works it is important to acknowledge that everything in this world is made of energy. Of tiny, vibrating atoms. In fact, the word Reiki translates to ‘spiritual energy’. This is a reference to the energy that whilst unseen, exists not just within us but also surrounds us in our life. Meditation itself creates a very peaceful, soft, gentle and nurturing energy. Just as we may sense that an argument has taken place in a room we have only just walked into (even though we did not hear it). Or we may meet someone new and immediately be filled with a positive sense about who they are as a person (even though they may not have yet said a word), we can recognise that energy is involved in conveying these types of messages to us. 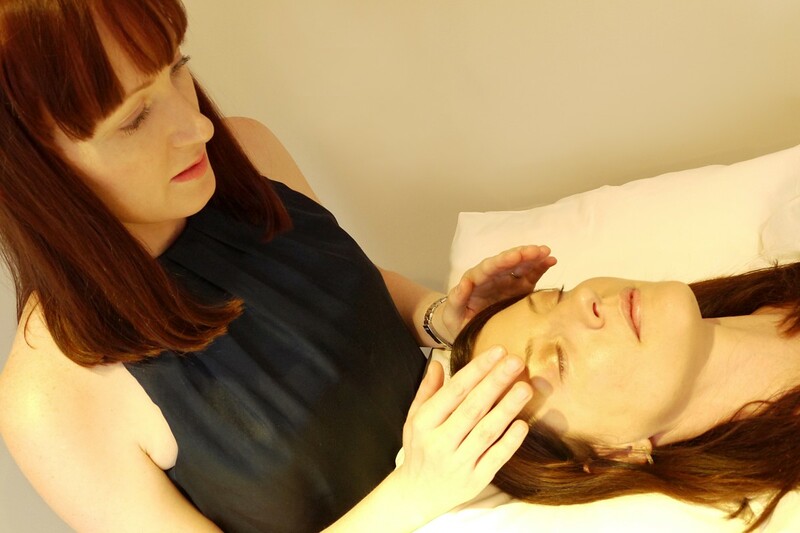 Imagining these scenarios hopefully helps you to understand how the gentle and peaceful space created by Reiki can in turn facilitate a deeply relaxing state for the client during a Reiki session. What is the benefit of Reiki (aside from relaxation)? From a physiological perspective (what happens inside the body), scientists have proven that deep relaxation activates the parasympathetic nervous system (PNS), which in turn switches on the bodies innate self-repair (self healing) mechanisms. The PNS is the opposite of the sympathetic nervous system, otherwise known as the ‘flight or fight’ response that is today endlessly activated by our stressful lives. Consider: Even when you are doing things believed to be relaxing; like watching TV, having a glass of wine with dinner/ with friends, catching up on social media, or even sleeping, are you really truly relaxing and letting go of your day? Are you sleeping deeply and waking refreshed? Yes- the human body is amazingly adaptable and will allow us to ‘get away with’ ignoring our own needs (for replenishment) for some-time, yet the truth of it is that the longer we continue without rest, without experiencing the deep peace of letting go, the greater the potential for imbalance within us exists. A Reiki session is an opportunity for yourself, a chance to get quiet and relax deeply in a supportive environment. Your own energy can then be re-directed away from your worries and frustrations, from the experiences that may have impacted you; to be utilised instead for restorative processes and maintenance of your own unique state of balance. The gentle gift of Reiki always finds its way to where it is needed, it can reach all levels whether physical, mental/emotional or spiritual.